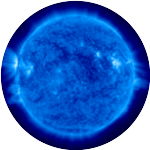 The Friends of Arlington’s David M. Brown Planetarium was pleased to present the 2nd annual David M. Brown Memorial Scholarship to Marisela Lara, who was honored during a ceremony at Kenmore Middle School on Monday, June 9, 2014. Marisela is a 2014 graduate of Washington-Lee High School, and plans to attend the University of Rochester (NY) this fall. 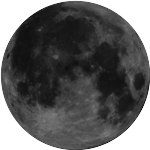 The scholarship was presented by Dr. Alice Monet, President of the Friends of the Planetarium. 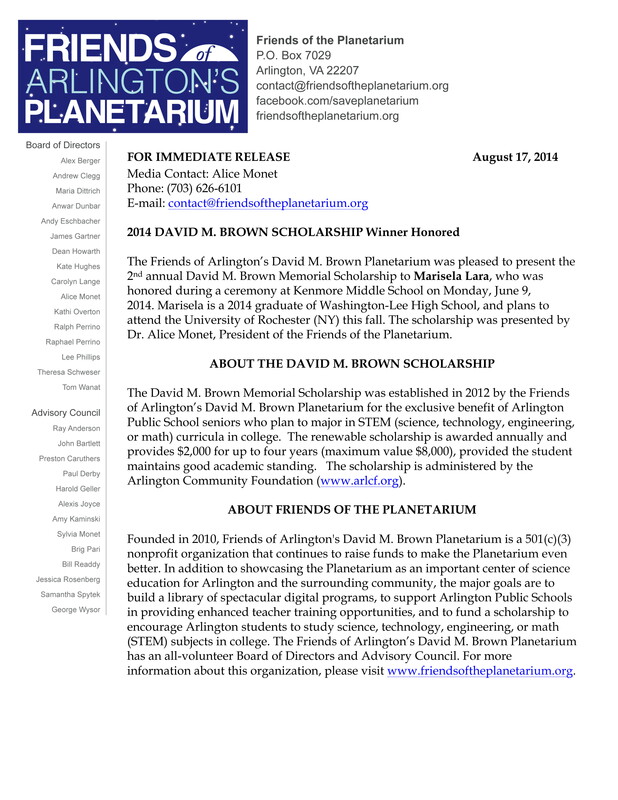 The David M. Brown Memorial Scholarship was established in 2012 by the Friends of Arlington’s David M. Brown Planetarium for the exclusive benefit of Arlington Public School seniors who plan to major in STEM (science, technology, engineering, or math) curricula in college. The renewable scholarship is awarded annually and provides $2,000 for up to four years (maximum value $8,000), provided the student maintains good academic standing. The scholarship is administered by the Arlington Community Foundation.